Fence Armor has earned the coveted Seal of Approval from the Gardening Products Review for our premium grade fence protection that is built to withstand the damage from weed trimmers. The Seal of Approval recognizes the most useful, innovative and high-quality tools in the residential lawn and garden industry across a wide variety of categories. Gardening products that earn the Seal of Approval have met strict eligibility requirements, which include an overall 5-star rating based on quality, reliability, practicality and ease of use. All products are thoroughly tested and reviewed against standardized criteria by a team of professional gardeners, landscape designers, garden writers and/or arborists. Visit gardeningproductsreview.com/about-seal-of-approval/ for more information about the Seal of Approval. 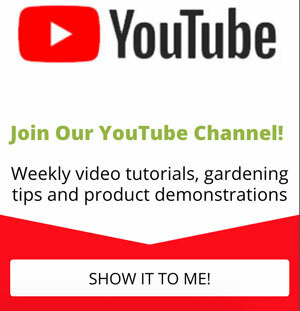 Gardening Products Review (GPR) is a successful online product review magazine that provides honest, objective and detailed reviews of gardening products based on extensive testing and use of the product. GPR reviews are written by professionals for homeowners and gardeners of all kinds. With a background strongly rooted in manufacturing and service industries, Al Martins (creator, director) and business partner Luis Ruivo (president), founded Fence Armor in 2008 as a result of both seeing and experiencing the damage that is caused by lawn equipment. Post damage is inevitable, whether it is caused by a landscape contractor or a homeowner. Some may consider the damage as the cost of having a well manicured lawn but Al and Luis knew there was a way to have a great looking yard while maintaining the beauty and structural integrity of the fence line. See how Fence Armor stands up to this weed trimmer.